Packing for holiday is always super stressful and I never know what to pack. I have way to many summer clothes in my wardrobe than what is deemed necessary, especially living in England! Usually I just take a mismatched array of whichever summer clothes that I like best and just hope for the best but this year I actually made an effort. My theme that I went with was 'Nautical'. I tried (not completely exclusively) to take colours that went with the theme so that every item that I took matched each other and I wouldn't waste away my holiday staring into my suitcase in despair! And it worked! This is a system I will most definitely use again. 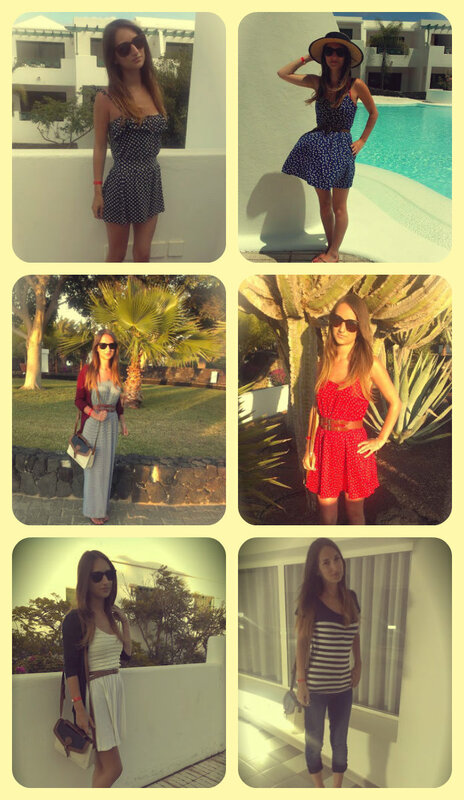 aw lovely post, I love seeing what other wear on holiday haha!